Brigham is proud of the multifunctional surface at Parc Gilles-Daigneault (behind the Town Hall). In the summer, the multifunctional surface is always open for basketball and rollerblading. In the winter, thanks to our volunteers, Brigham offers a skating rink for skating, hockey and broomball. Consult the schedule displayed at the Town Hall and the recreation building at Gilles-Daigneault Park for the opening hours of the ice rink, as well as the hours reserved for various activities. 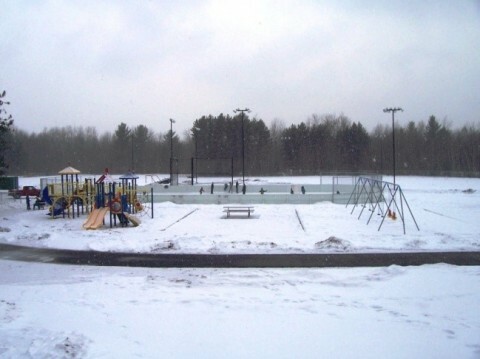 During the winter season, the status of the ice rink (open – closed) will be regularly updated on the main page of the municipal website as well as on its Facebook page and its Twitter feed.